The rupee has been on a weakening streak since the start of this month. The rupee had plunged by 44 paise against the US dollar on Budget day. Against the US dollar, the rupee has been on a weakening streak since the start of this month. The Indian rupee (INR) dropped by 29 paise to trade at 64.36 against the US dollar today, amid a selloff in domestic equity markets and dollar demand from importers and banks. This is the lowest value of the rupee (INR) against the US dollar (USD) since December 18, 2017, when it hit 64.68 intraday against the US dollar (USD). Dealers said early losses in domestic equity markets and fresh foreign fund outflows weighed on the rupee (INR). On Monday, the rupee (INR) had closed on at a flat note at 64.06 against the US dollar (USD). The benchmark BSE Sensex crashed by 1,274.35 points, or 3.66 per cent, to 33,482.81, while Nifty tanked by 390.25 points, or 3.65 per cent, to 10,276.30 in opening trade. 1) The rupee has been on a weakening streak since the start of this month. 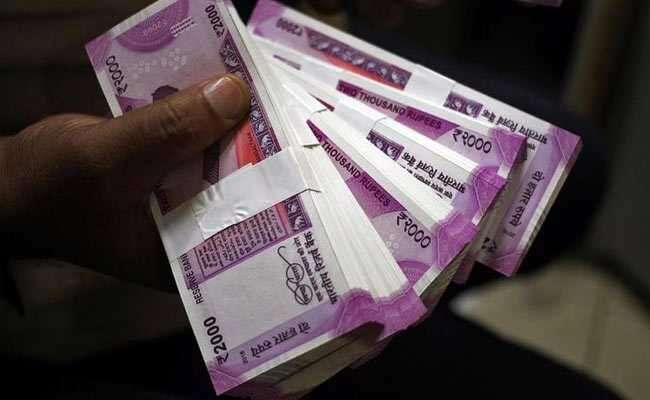 The rupee had plunged by 44 paise against the US dollar on Budget day (Thursday), after the government announced a long-term capital gains (LTCG) tax on equities and set a fiscal deficit target at a wider-than-expected 3.3 per cent for FY19. 2) Weak domestic equities also hurt the rupee. Foreign investors sold domestic equities worth Rs 1,263.57 crore on Monday. 3) Domestic stock markets were under strong selling pressure, with the Sensex falling over 1,200 points at day's low, tracking a selloff across global markets. Overnight, the Dow fell over 4 per cent while today Japan's Nikkei slumped over 5 per cent. 4) The latest trigger for the global bloodbath in equities is better-than-expected jobs data in the US, which has raised the possibility of Federal Reserve hiking rates faster than expected. 5) US raising rates faster than expected would be negative for Asia and emerging market assets, says forex advisory firm IFA Global, which expects the rupee to trade in the range of 64.25-64.62 against the dollar on Tuesday.